A student wearing jeans and a red shirt takes the hand of the Herman B Wells statue that sits on a bench in the Old Crescent. A silhouetted man talks to two silhouetted female students in front of a large screen. A person in red and white striped pants walks through a wooden door. A student reads on the steps of the Indiana Memorial Union while a woman wearing shorts and a man wearing black pants walk down the stairs. 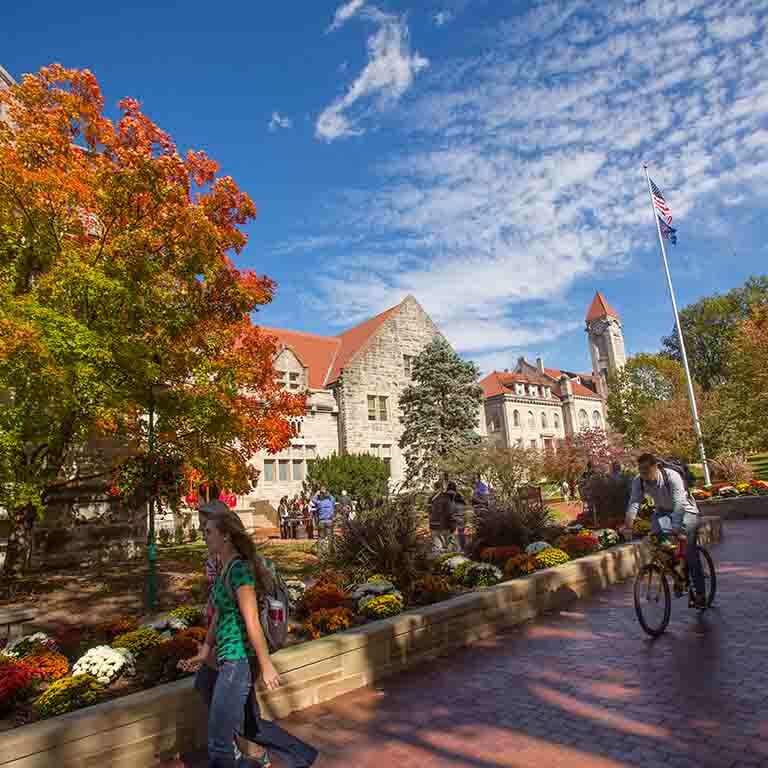 At IU Bloomington, our promise is to help you fulfill yours. We do it by giving you everything college should be. More than 550 academic programs, including opportunities you won’t find anywhere else. A cream-and-crimson-clad family that you can call on throughout your life. And a springboard to a rewarding career and a bright future. The trees. The limestone buildings. The high-tech labs and world-class performance spaces. The people from all over the world. Together they make IU’s campus one of the most inspiring and inviting places you’ll ever be. See for yourself. Beginning college, or transferring to a new college, is a big transition. That’s why we have the Office of First Year Experience Programs (FYE): to help undergraduates start strong at IU. 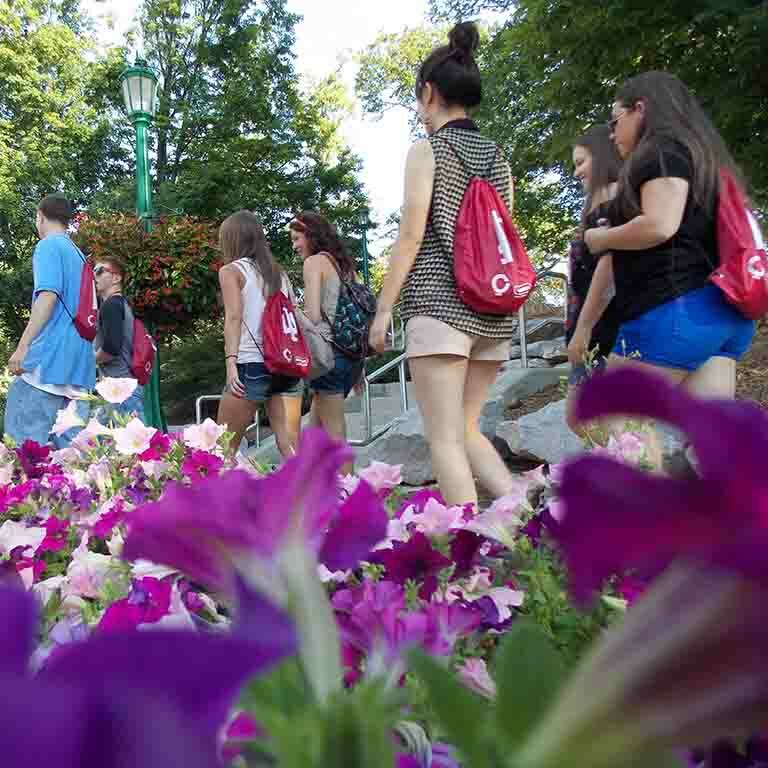 FYE will help you explore IU’s many opportunities, pursue the ones that interest you, and shape your IU experience into what you want it to be—starting with New Student Orientation. You’ll see a lot of our beautiful campus during New Student Orientation.